MLMLeadSystemPRO is a customizable, self-branded attraction marketing, affiliate marketing, funded proposal system for network marketers. Created by Norbert Orlewicz, Brian Fanale, and Todd Schlomer, MLM Lead System PRO is making big waves in the MLM / network marketing industry. In the short time since its launch, it already has thousands of active users and is growing rapidly. What is an attraction marketing system? Something that helps you attract other network marketers to you (and, eventually, getting them to join your team) without having to pitch them on your network marketing opportunity at the start. Popularized by Mike Dillard in his infamous book Magnetic Sponsoring, attraction marketing is the strategy used by most of the top earners in the MLM industry. What is affiliate marketing? Basically, a way for you to get paid for referring people to various products and services that can help them in their current business. For example, you tell someone they should buy Magnetic Sponsoring so that they can understand attraction marketing, and you make $20 when they buy it. What is a funded proposal? In a nutshell, it's a small retail product that you sell to your intended market to recover the cost of generating the lead. Usually, this is an affiliate product like MLM Lead System PRO or Magnetic Sponsoring. If it costs you $5 to generate a lead via Pay-Per-Click, and then you sell a Magnetic Sponsoring and make $20, you just recovered the cost of 4 leads. When you hear people talking about "free network marketing leads," this is usually what they mean.
? A customizable, self-branded capture page system.
? A sophisticated campaign tracking system that shows you exactly where your traffic, leads, and sign-ups are coming from.
? A business funnel with 15+ affiliate products and services that complement your primary MLM opportunity, and help maximize the income you earn from every marketing dollar.
? Detailed, step-by-step video tutorials that show you exactly how to set up your system, from registering your domain name through launching your marketing plan.
? 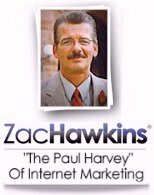 Cutting-edge marketing training on 10+ of the most effective Internet marketing strategies (both paid and free) used by the network marketing industry's top income earners.
? Access to an exclusive, members-only social community where you can network and talk shop with other users of MLM Lead System PRO. How Many Network Marketing Leads Will MLMLeadSystemPRO Generate For Me? Ultimately, this depends on your effort. The system is not going to do the work for you, though it certainly makes it much easier than building everything by hand. Those who take massive action, and complete all of the marketing steps recommended in the system, will get massive results. Those who timidly dip their toe in the water will not. Budget (both in terms of time and money) also has an impact, here. One who puts some money into the paid marketing methods will get higher results than those who don't. One who invests more time and energy into the free marketing methods will generate more leads than those who don't. How Much Does MLMLeadSystemPRO Cost? The base cost of MLMLeadSystemPRO is $47 per month, though there is currently a $1 trial offer for the first 14 days?plenty of time to set the system up and see if it's going to work for you. One point worth mentioning here is that there's an affiliate program that pays out $15 per month for each user you refer to the system for as long as they stay active. At three users, your system is almost free... and at 4, it's profitable. Beyond the base price of the system, the average user will incur additional expenses: the cost of the affiliate services. One is required?Aweber, though many people already have it?and the rest are optional but recommended. Currently, the most expensive are the two list-building (email marketing) services, both of which cost $197 annually. Does My Sponsor In MLMLeadSystemPRO Make A Difference? Yes. I think so, at least. If you sign up with someone who has no idea how to set the system up and make it perform, you're going to be left to your own devices. That's not tragic--you'll still be using the best MLM lead generation system around. But, things will certainly be easier if you have a good mentor to show you the ropes. Zac, I just spoke to Brian. He said for you to sign up to MLSP through me. That way you will benefit and make the monthly residuals from anyone who joins via your site. However, if you don't want to join yourself but just want to promote it, you can use my urls(I would love that! lol). I would make a separate campaign just for your promotions. Either way let me know. I sure will Zac, no problem. Would you get a hold of Brian at MLMLSP and have him contact me? I would like to talk to him about promoting MLMLSP. P.S. He can just use the contact form here.